Did your little one accidentally touch the hot pot when you turned away for just a moment? Or did you get a few splotches of hot oil on your skin while deep frying chicken? Minor burns are an unavoidable hazard, especially in the kitchen whether you are cooking, baking, or simply heating things up. You can suffer accidental burns even while ironing clothes if your skin accidentally touches the heated ironing base. 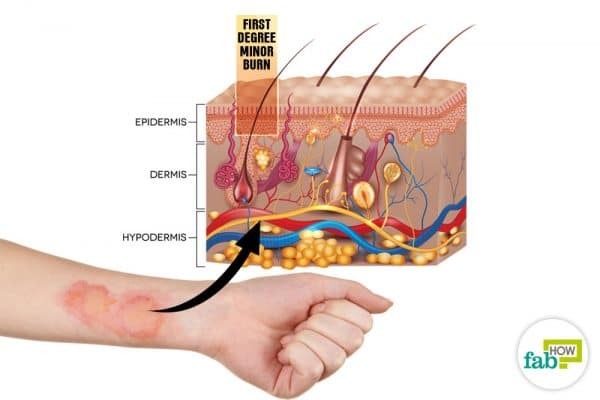 First-degree burns that affect only the first or outer layer of the skin and are characterized by swollen red patches on the skin that are quite painful. In second-degree burns, the damage extends to the second layer of the skin and is characterized by splotchy red and white skin, along with painful blistering and swelling. Third-degree burns refer to severe burns that extensively damage the skin layers and the fat stored beneath. In case of extremely severe burns, the damage may further extend to the underlying muscle tissue and bone as well. In such cases, immediate first-aid should be provided, and medical assistance should be sought without delay. Minor burns include first-degree burns, which are also called superficial burns. Diagrammatic representation of minor burn. The first thing to do when you get singed is to eliminate or remove the source of the burn. The immediate treatment of burns can significantly reduce the damage caused to skin and underlying tissue. Using effective natural remedies to treat minor burns also lowers the chance of scarring or developing an infection. Prepare a cold compress using a clean piece of flannel, soak it in running or cold water and press gently to the burn. 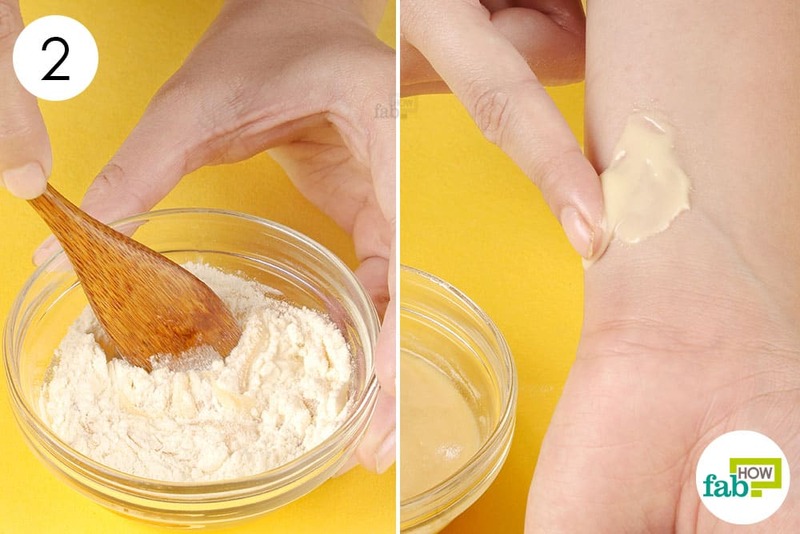 Do this several times to reduce swelling, prevent the formation of blisters, and for relief from pain. Once you have pre-treated superficial burns with water, you can follow any of the 10 remedies described below to treat minor burns using just 1 natural ingredient. Note: Do not apply ice to the burned skin as it constricts the blood vessels, reducing blood flow to the site. This slows down healing and can lead to further damage. Honey has antibacterial properties and that’s important when wanting to avoid a secondary infection from a burn. The hydrogen peroxide produced by glucose oxidase in honey can inhibit the bacterial growth before bacteria has a chance to grow. It can also accelerate the healing process. Ancient Egyptians used honey to disinfect wounds and speed up the healing process. This golden nectar has strong antibacterial and anti-inflammatory properties that make it an ideal remedy for treating minor burns. (3) Raw organic honey provides a moist healing environment that can help check infection and also heal burned or damaged skin to prevent scarring. 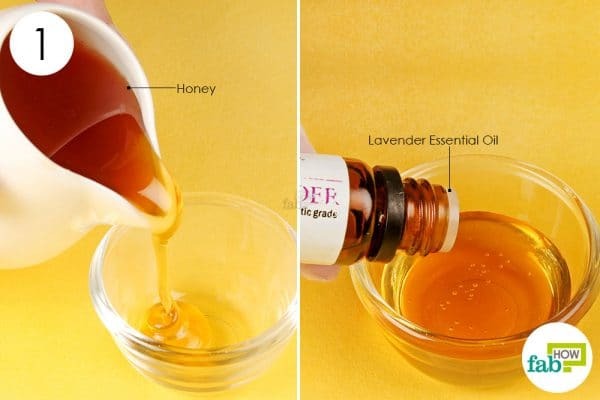 Lavender oil works as a relaxing agent and has an anesthetic effect; mixing this essential oil with honey provides relief from any pain or discomfort in case of minor burns. 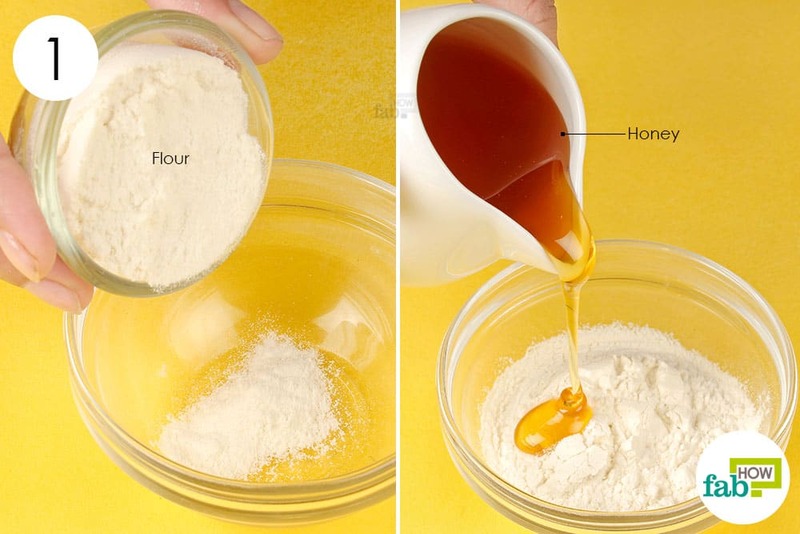 Pour 2 tablespoons of honey into a small bowl. Add 10 to 12 drops of lavender oil. 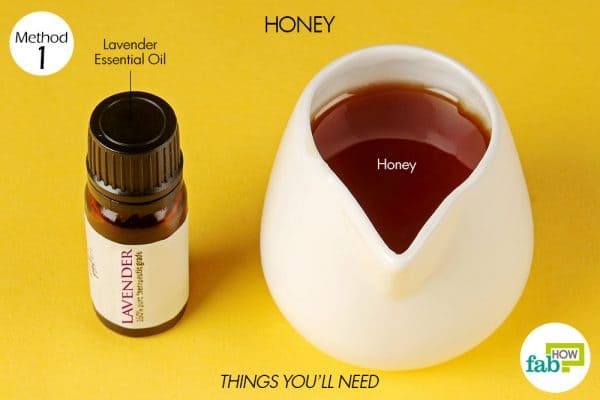 Stir the honey and lavender oil together to mix them thoroughly. After initial treatment with water, leave the burn exposed and let it air dry. Wash your hands properly and use your fingers to apply this honey-lavender blend on the burn. Dress the injury using a piece of sterile gauze to ensure that the salve stays on and does its work. You can store the remaining honey-lavender blend in a steel or glass container; refrigerate and use it at regular intervals to ensure complete healing. Applying this salve will provide you instant relief from irritation and pain, in addition to preventing blistering and scarring. 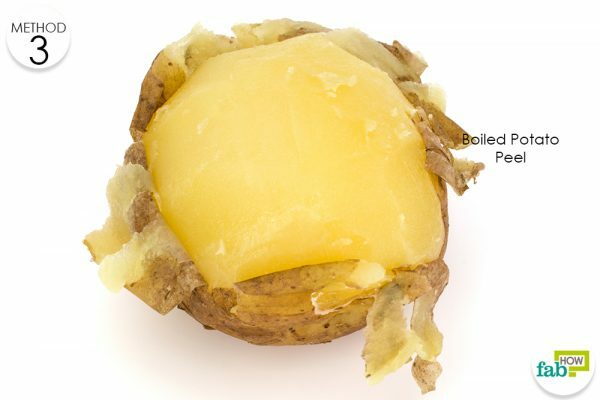 Reapply the salve 2 to 3 times daily for 1 to 2 days or until the burn is completely healed. Aloe vera gel is one of nature’s wondrous remedies that can be used for a variety of purposes. It contains 75 potentially active constituents: vitamins, enzymes, minerals, sugars, lignin, saponins, salicylic acids and amino acids in 3 different layers that provide healing properties. Apart from curing your acne, raw aloe vera gel due to its soothing, anti-inflammatory, and antimicrobial properties is also extremely effective at soothing and healing your burn injuries. In an animal-based study published in 2014, aloe vera enhanced the wound healing process in rats. (4) This cooling gel promotes faster healing and prevents the burn area from blistering. Take a freshly cut aloe vera leaf and slice it open; apply the whitish-green gel directly on the burn. Let it soak into the skin and reapply as required, i.e., when it starts to sting or hurt again. Aloe vera will provide instant relief from the pain and burning sensation. Keep regularly applying it for 1 to 2 days and cover with a piece of sterile gauze when you go out. Note: Do not apply the yellowish fluid at the bottom of the aloe leaf as it contains toxins that can irritate and harm your skin. Clean the burns thoroughly with cold running water. Boil a potato making sure the peel is free of any dirt. 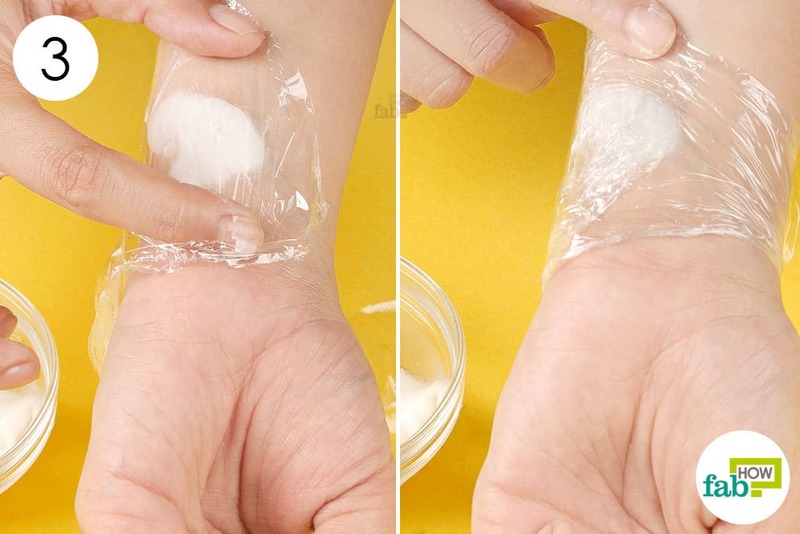 Peel the skin gently and keep it aside to cool down. Once it reaches the room temperature, apply it to the burnt area. You may leave it open or cover it with a loose dressing. 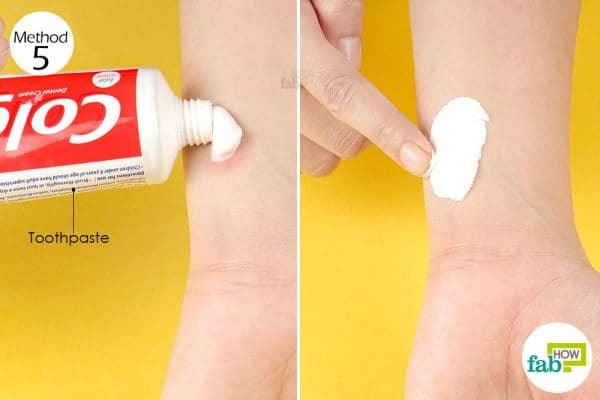 Do this as soon as possible to prevent blistering and pain. Repeat as required till the inflamed skin and pain go down. You will find complete relief within 1 to 2 days of regular application. 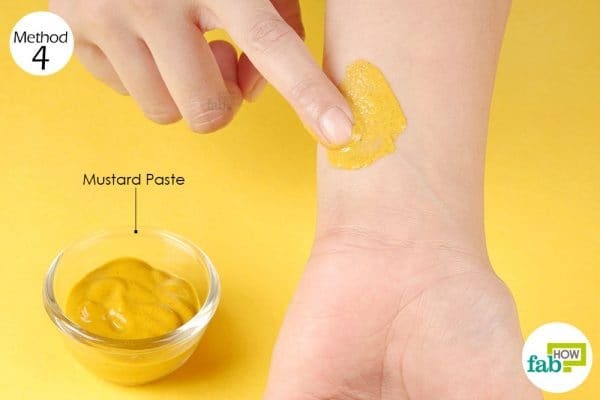 The yellow mustard found in your fridge or kitchen can also be used to treat minor burns. Yellow mustard acts as a counter-irritant; i.e., it provides relief from pain by creating minor irritation or pain. It also increases the blood flow to the injured area thereby promoting swift healing. Clean the burn with cold running water. Take some yellow mustard and apply it directly on the burn, covering it completely. You will find relief from pain instantly. Reapply as and when required, i.e., whenever the pain becomes too much to bear. Toothpaste has a cooling effect on superficial or minor burns and can be applied for instant relief from the stinging sensation or pain. 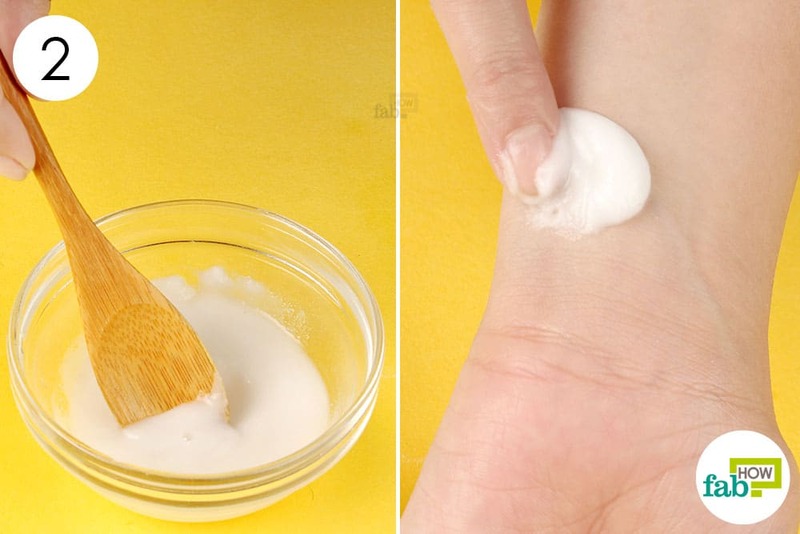 Clean the burnt area with water and squeeze out a small amount of toothpaste on your skin. Gently spread it all over the burn for instant relief from pain. Let it dry and then peel it off; gently clean the burn with damp paper towels. Apply once or twice for immediate relief from pain or irritation. Do not apply it regularly as toothpaste contains strong ingredients that can irritate with a prolonged application. Note: Do not use this remedy for deep burns with severely damaged or exposed skin. Note: Do not use egg whites on open burn wounds or if you are allergic to eggs. 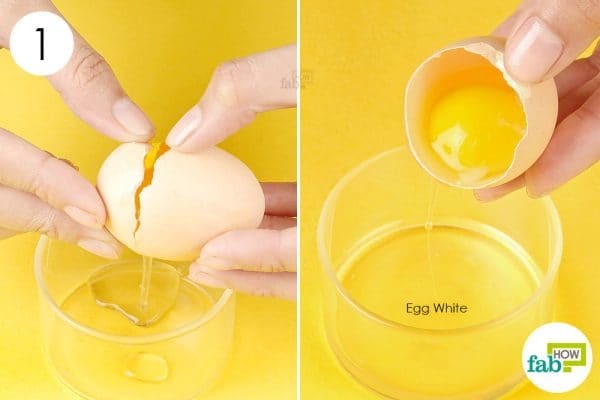 Gently crack the eggshell using a knife. Slowly separate the two halves; let the egg white drip down into the bowl below and scoop up the yolk in one half. Use a clean finger to coat the burn with egg white completely. As one layer dries up, keep applying fresh coats. Wash off once the pain has subsided as raw egg whites can be a breeding ground for bacterial growth. 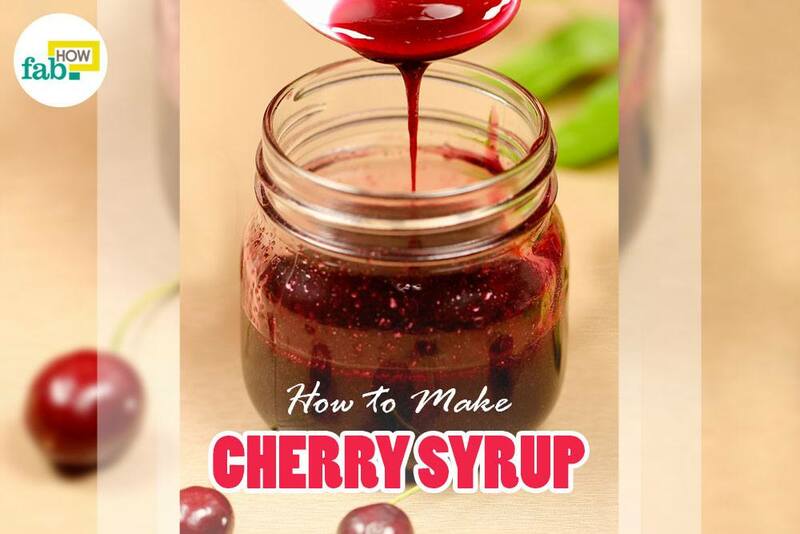 Reapply several times a day for 2 to 3 days to treat minor burns. Applying a wheat flour paste on minor wounds speeds up the healing process and reduces the chances of developing an infection as the flour soaks up all the moisture and forms protective coating that keeps external irritants out. You can mix wheat flour with honey to heal burnt skin quickly and effectively. 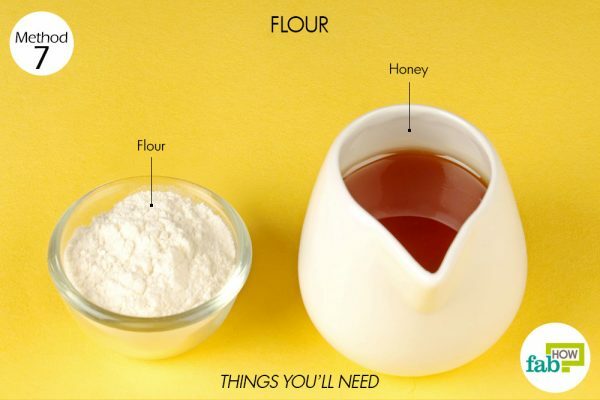 Take 2 tablespoons of wheat flour in a mixing bowl. Add 1 to 2 teaspoons of honey and mix it to form a smooth, thick paste. Apply a thick layer of this paste on the burnt area, covering it completely. Once dry, this paste acts as a natural bandage, preventing external irritants and infection. This paste will provide instant relief from the pain. Reapply for 2 to 3 days to heal the burn completely. 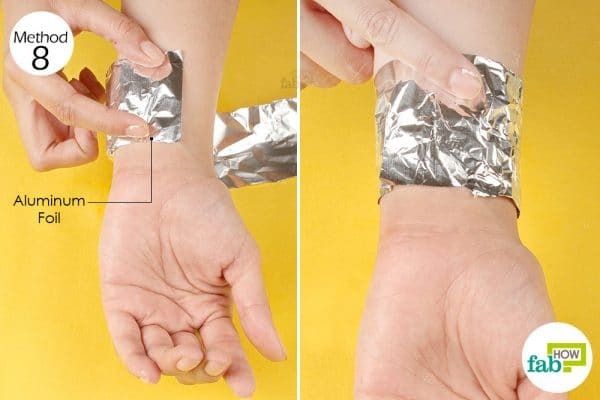 Apart from cold water, you can also use a makeshift aluminum foil bandage to cool and soothe burnt skin in case of minor burns. It is one of the most popular anecdotal remedies. Cut out a strip of aluminum foil. Wrap it around the burns like a bandage. Keep it on for several hours until you find relief from pain. In case of large or slightly severe burns, you can also apply ice on the outside surface of the foil to soothe your inflamed skin. You can keep your aluminum bandage on overnight for a pain-free, full night’s sleep. Note: Do not use this remedy for blistered or severely damaged, i.e., exposed skin. Baking soda paste helps keep the burnt skin moist and prevents scarring. It also helps to alleviate the pain and redness from a burn injury. 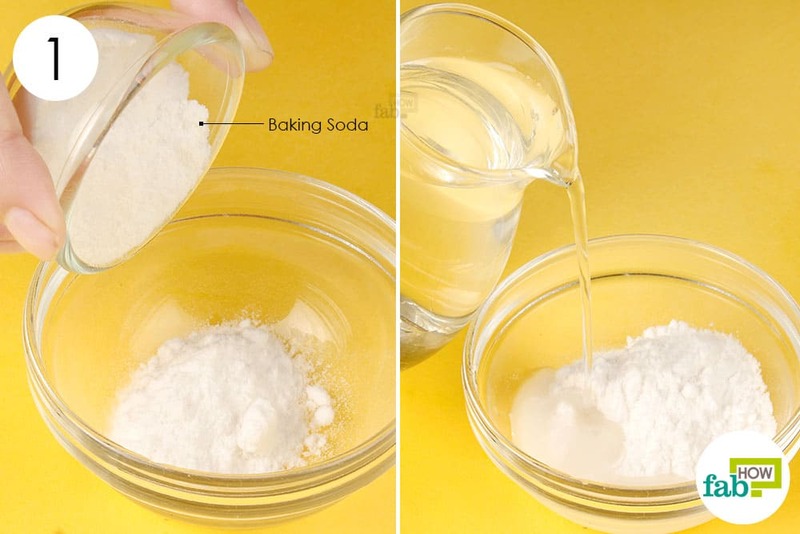 Mix around 2 teaspoons of baking soda with water to make a smooth, slightly thick paste. Apply the baking soda paste over the burn; make sure you cover the entire burnt area completely. Use plastic or saran wrap to secure the baking soda paste over the burn. This also prevents loss of moisture and keeps the paste from drying up. Keep the wrap on till the redness and pain go away. Once the burning has subsided, apply the paste 2 to 3 times in a week to get rid of the scar. Plain black tea contains tannic acid that has astringent properties, which enable it to draw out the heat from the burn wound. Cool or chilled black tea also helps reduce pain in instances of minor burns or scalding. 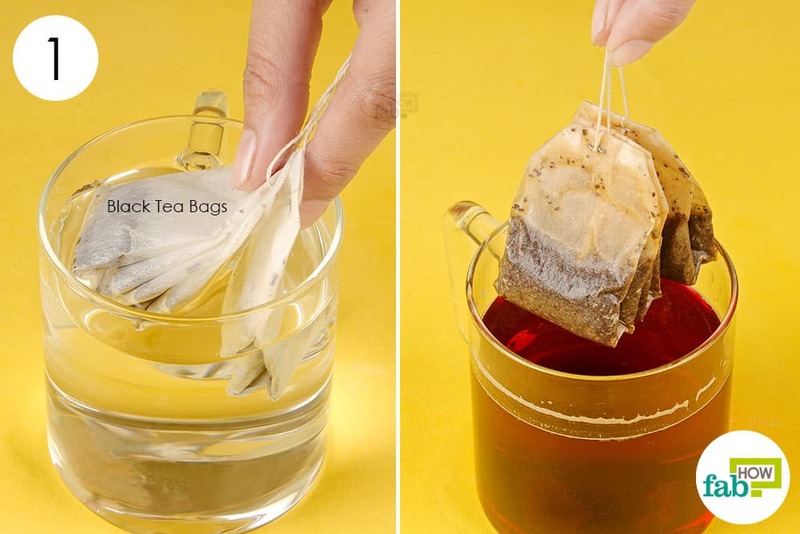 Steep 2 black tea bags in a cup of hot water for 5 to 10 minutes. Remove the tea bags and let the tea cool down for about 30 minutes or so. Dip a cotton ball into the cold black tea and apply on the burn. Repeat application till the pain and redness go away. Alternatively, you can also apply used tea bags (which are cooled down) as a poultice to heal minor burns. Continue applying for 3 to 4 days to treat minor burns and to prevent the formation of blisters. You can also apply freshly cut onion slices, several times a day for relief from pain. 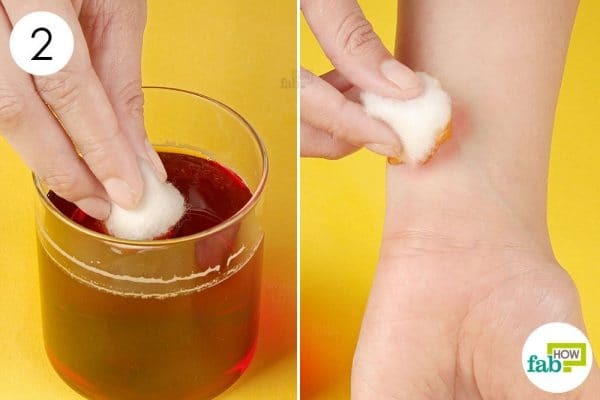 Mix equal proportions of white vinegar and water; you can apply this mixture with a cotton swab for 2 to 3 days to relieve irritation; vinegar also helps accelerate healing and skin regeneration. Avoid the use of adhesive bandages on the wound to prevent irritation and infection. Take measures to protect the area from further injury or tanning. Do not pop any blisters that may develop; as doing so delays healing and also increases the risk of infection. These remedies and tips are for minor or superficial first-degree burns only. In case of electrical burns or second- and third-degree burns with severe skin damage, consult a doctor as soon as possible. Schaefer TJ, Szymanski KD. Burns, Evaluation And Management. StatPearls [Internet]. https://www.ncbi.nlm.nih.gov/books/NBK430741/. Published October 27, 2018. Wood FM, Phillips M, Jovic T, et. al. Water First Aid Is Beneficial In Humans Post-Burn ... PLoS ONE. https://www.ncbi.nlm.nih.gov/pmc/articles/PMC4725848/. Published January 25, 2016. AB J, N C, JC D, MJ W, S D, N W. Honey as a topical treatment for wounds. Cochrane Database of Systematic Reviews. https://www.ncbi.nlm.nih.gov/pubmed/25742878. Published March 2015. Akhoondinasab MR, Akhoondinasab M, Saberi M. Comparison of Healing Effect of Aloe Vera Extract and ... World Journal of Plastic Surgery. https://www.ncbi.nlm.nih.gov/pmc/articles/PMC4236981/. Published January 2014. Bitter CC, Erickson TB. Management of Burn Injuries in the Wilderness: Lessons from Low-Resource Settings. https://www.ncbi.nlm.nih.gov/pubmed/28029455. Published December 2016. B K. First-aid Home Treatment of Burns Among Children and Some Implications at Milas, Turkey. Journal of Emergency Nursing. https://www.sciencedirect.com/science/article/pii/S0099176709006096. Published January 18, 2010.